If an aircraft engine fails, the airline can make a temporary engine replacement until the rightful owner (lessor) allows permanent engine replacement. Sometimes in case of financial problems the aircraft is seized by creditor or the airline goes bankrupt. In such cases the owner of the airframe might acquire title over the engine if the engine owner doesn’t legally protect its asset. Such protection of assets effectively can be done by an aviation lawyer, experienced in the local jurisdiction. 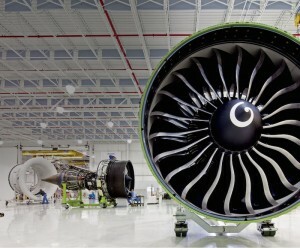 How an aircraft engine owners can protect their assets? The ultimate protection can be incorporated in the text of the engine lease agreement, signed with the aircraft operator (the airline). The agreement needs to clearly identify a jurisdiction, favourable to the engine owner, and issuing a mandatory letter of recognition of title by the airframe owner. Ultimately, on a more global level, the interest in the aircraft engine can be registered pursuant to the Cape Town Convention and it’s Aircraft Protocol in the International registry of mobile assets. If the engine title dispute arises in a country where the Convention is in force, the aircraft engine owner can easily enforce a repossession (revendication). Bulgaria is not signatory of the Cape Town convention but is a party through its accession to the EU. So far there is no case law on application of the Cape Town convention and Bulgarian courts are likely to apply lex situs i.e. the law of the place where the property is situated (Bulgarian laws). This, however, doesn’t mean that the court will not apply the Convention. Below I will be looking at the current Bulgarian case law on the proprietary rights in case of joining two objects into one, where one is the main object and the other is subordinate i.e. the case where aircraft engine is installed on an airframe, owned by another entity. Due to the small aviation industry in Bulgaria, there are no particular disputes concerning aircraft engines. However there are some milestone court decisions, which can be applied directly to the topic of discussion. When another’s property has been incorporated as a part of a main property in such a way that it may not be separated without causing significant damage to the main property the owner of the latter property shall acquire the ownership over the adjoined part as well. In the legal theory and in legal practice it is accepted that permanent incorporation means not only when the removal of the subordinate property would lead to physical damage of the main property but also if it would lead to disrupting the functions of the main property. No doubt the above court decision is 100% in favour of the aircraft engine owner because temporary replacement of an engine is in fact replacement of a damaged aircraft part with another good one. The quoted court decision concerns automobile parts, so it is more relevant than the majority of the other case law, which relate mainly to real estate properties. It is correct and legally grounded on Article 97, that even if there are parts, provided by the defendant, these parts are incorporated in the main property and they belong to its owner i.e. to the claimant. As you can see above, you will need a qualified aviation lawyer to make the claim successful, despite the contradictory Supreme court case law. The specifics of the aviation industry requires not only local law and litigation knowledge but also the qualifications of an international aviation law specialist. Should you need an aviation lawyer, we will be please to offer qualified legal advice and services. Milen Hristov is qualified aviation lawyer, registered in Sofia Bar. He is also member of European Air Law Association and certified by IATA in international aviation law.